EPIZODE³ FESTIVAL REVEALS EXHILARATING DAY TO DAY LINE UP! [A:RPIA:R], APOLLONIA, CRAIG RICHARDS, DUBFIRE, FERRY CORSTEN, GOLDIE. 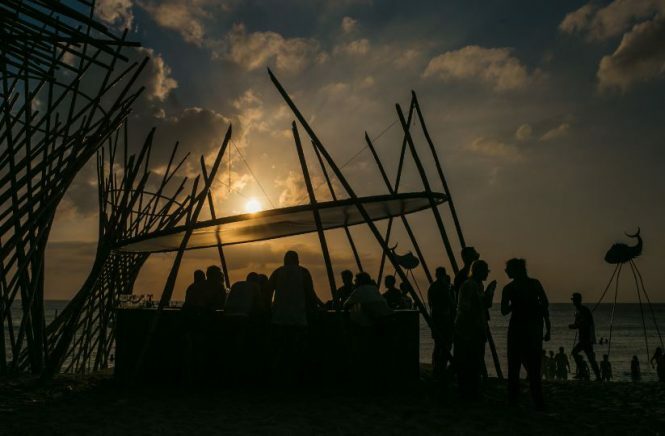 MR. G, NINA KRAVIZ, NICK WARREN, PEGGY GOU, RICARDO VILLALOBOS, SETH TROXLER, SONJA MOONEAR, ZIP, TINI and many more to be spinning on the Phu Quoc beach! The final countdown for the biggest and best Epizode Festival yet is on! 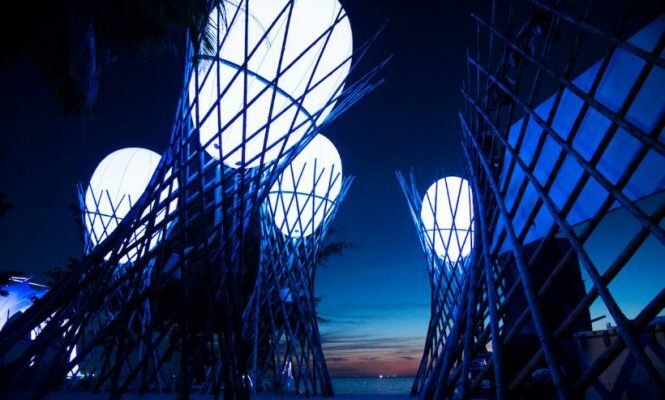 Asia’s premiere art and music spectacle kicks off on December 28th and runs until January 8th 2019 in the paradise location of Phu Quoc island in Vietnam. 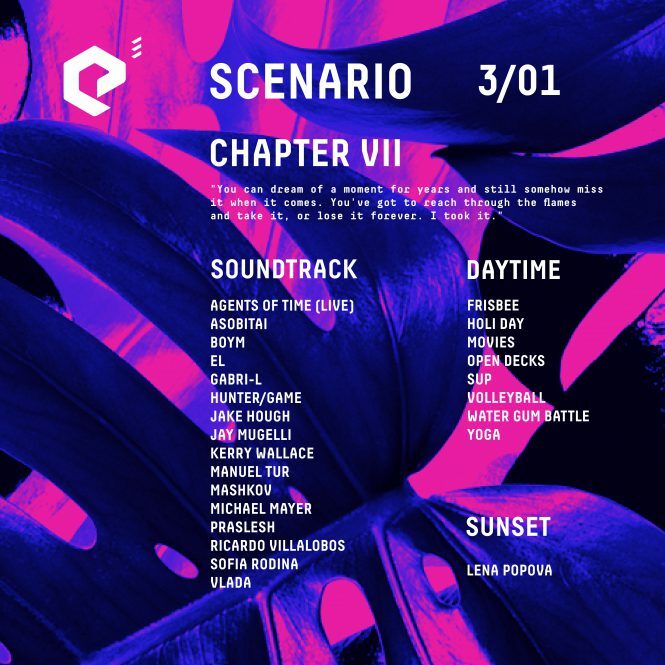 Now, the day to day break down for each of four stages can be revealed, as well as details on where and when the likes of [A:RPIA:R], APOLLONIA, CRAIG RICHARDS, DUBFIRE, FERRY CORSTEN, GOLDIE. MR. G, NINA KRAVIZ, NICK WARREN, PEGGY GOU, RICARDO VILLALOBOS, SETH TROXLER, SONJA MOONEAR, ZIP, TINI and many more, will all play. These global DJ superstars will be spinning alongside the finest regional tallents, such as DISKONNECTED, GABRI-L, HIBIYA LINE, JONATHAN KUSUMA, KERRY WALLACE, MARCUS L, OUISSAM, SEQU3L, SUNJU HARGUN, ZIG ZACH, to name a few. Groundbreaking Epizode³ quickly became world famous for bringing the freshest electronic sound to Asia, while showcasing the best regional artists, all shaking the beach for 11 nights and days. The musical bliss will be spread across four specially decorated stages, that will welcome thousands of people from all over the world, getting lost in the festival’s unique vibes, among art sculptures and installations. It’s a place to forget everyday life and get lost in a tropical paradise, get breathless by the stunning sunsets and spend the ultimate NYE dancing on the beach to the grooviest soundtrack. 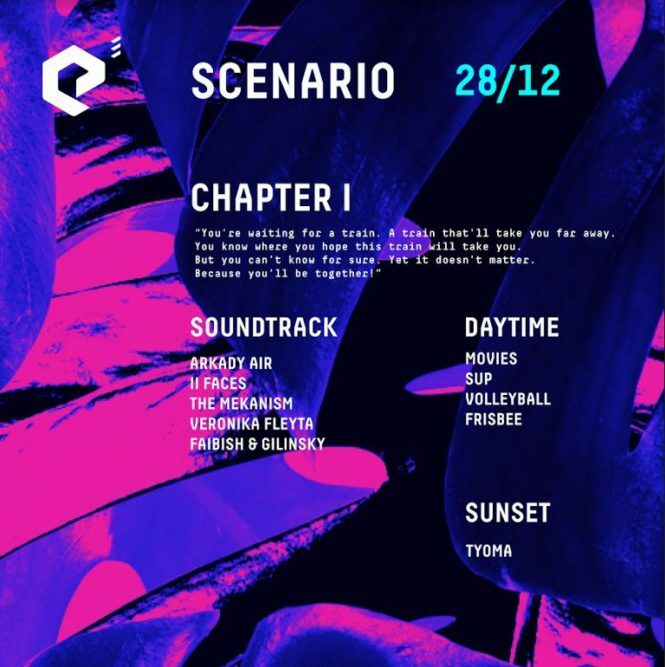 December 28th launches at the sunset with Epizode³ general producer TYOMA on the decks, followed by his set on the same night, alongside THE MEKANISM on the Frisbee Stage; then the day after OLIVER HUNTEMANN and BLOODY MARY play the same stage. December 30th brings bass stars such as Prodigy’s LEEROY THORNHILL and Russia’s first d’n’b LADY WAKS, while ALAM and DOTT will be representing Asia at Eggs Stage. On New Year’s Eve, Epizode³ will proudly welcome the South East Asia debut of the super trio [A:RPIA:R] accompanied by the Swiss star SONJA MOONEAR at the Frisbee stage, while legendary Mr. G and youANDme will be gracing the decks on the main stage, followed by tha afterparty at Shell stage, featuring regional acts like DAVE VEGA, MARCOTIX to name a few. On New Year’s Day – iconic GOLDIE, BLACK SUN EMPIRE, Hong Kong’s OCEAN LAM and Beijing’s WENG WENG, as well as [A:RPIA:R] and SONJA MOONEAR will all play special sets across the festival before PETRE INSPIRESCU plays a sunrise set on Shell on the 2nd . On January 3rd, RICARDO VILLALOBOS returns after a spellbinding set last year, followed by PRASLESH, together with AGENTS OF TIME and MICHAEL MAYER on the Main stage and Australia’s finest KERRY WALLACE AND GABRI-L at the Eggs. On the 4th, RICARDO plays a morning set on the Frisbee Stage, joined by DANA RUH and APOLLONIA later that evening at Mdrnty showcase, and with GUTI, PEGGY GOU AND PAN-POT playing the Main Stage, Vietnam’s OUISSAM and HIBIYA LINE at Equation showcase at Eggs and SAMMY DEE and SONJA MOONEAR on the Shell Stage for the Arma Afterparty. January 5th finds LAMACHE and MAAYAN NIDAM gracing the decks at the Yoyaky day at Shell, later that night, CRAIG RICHARDS and DJ MASDA will do their thing alongside NICK WARREN on the Main and SUNJU HARGUN and JONATHAN KUSUMA at Eggs. On the 6th, the Volks day will present Perlon’s ZIP and FUMIYA TANAKA on the Shell, followed by the Ants showcase at Main stage, with RICHY AHMED and DAVIDE SQUILLACE, SETH TROXLER and BILLPATRICK at Frisbee and Seoul’s MARCUS L and Smoke Machine resident DISKONNECTED at Eggs. On the 7th , ION LUDWIG will play the morning set, alongside tINI and THOMAS MELCHIOR at Half Baked showcase, while on the same night, DUBFIRE AND DAVID GTRONIC will be spinning at Main Stage’s Sci+Tec showcase, alongside NINA KRAVIZ and DJ STINGRAY at Frisbee. The last parties see Binh, Matias Aguayo and more close out the festival. The electronic dance music market has shown rapid growth in the Asian market. With more than 25 years of making great strides on the most influential areas of electronic music, DJ Mag has landed in Asia to satisfy the needs of music lovers. 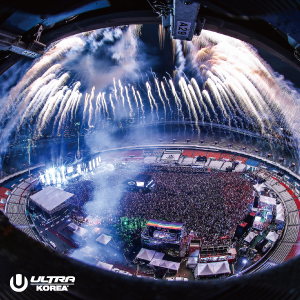 The coverage of the best electronic events, DJs of all styles, producers, promoters, sound engineers and all others can be discovered in DJ Mag Asia, the main electronic music magazine of the region. © 2019 Dj Mag Asia. All Rights Reserved.